Update stock levels easily when purchase orders get delivered. When you spend too much time on purchasing products and updating your inventory, then it might be a good idea to automate your purchasing process. Let Supply Manager do the work for you and save time for doing things you actually prefer doing. Automating your purchasing is now easier and cheaper than you think. Good to know: you only pay the monthly costs for the app. There are no additional subscription fees. 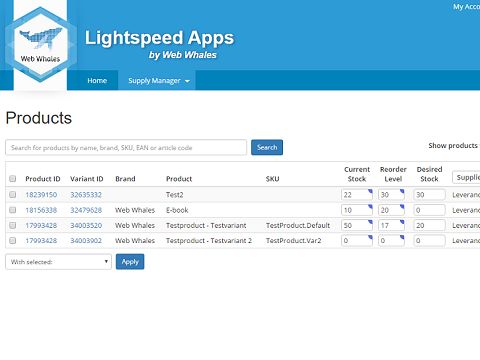 Supply Manager keeps inventory of your Lightspeed store and registers changes in products automatically. When a product’s stock level reaches the minimum level, that product is added to the supplier’s purchase order. Supply Manager can reorder your products until they are on the desired stock levels. Purchase orders are automatically sent to your suppliers on scheduled moments. When a purchase order has been delivered, you can easily update the inventory with the delivered product quantities. Schedule sending times for purchase orders per supplier. Web Whales is a certified Lightspeed partner. 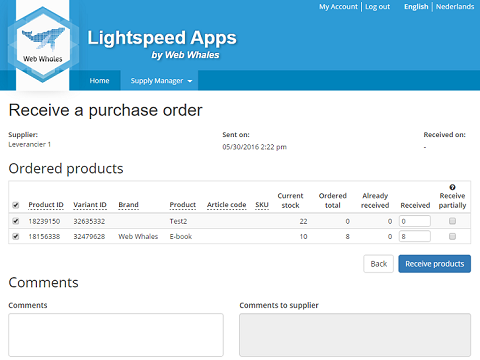 We develop applications for Lightspeed and help companies with custom adjustments to their Lightspeed store. Besides that we can also help you with the template of your webshop and our SEO department can help you with the visibility of your website in Google. Interested in the possibilities? Read more on our website or call us on +31 70 205 48 10. 0 - 5000 products (SKU's) = € 14,95 p.m.
5001 > products (SKU's) = € 29 p.m. 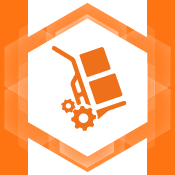 Unable to get Supply Manager fully working for your shop? Please email our technical support on [email protected], so we can look for a solution together. We always try to respond on emails within 1 business day. Furthermore, we always aim for progress! If you have any feedback, ideas and/or remarks, please do not hesitate to contact us.